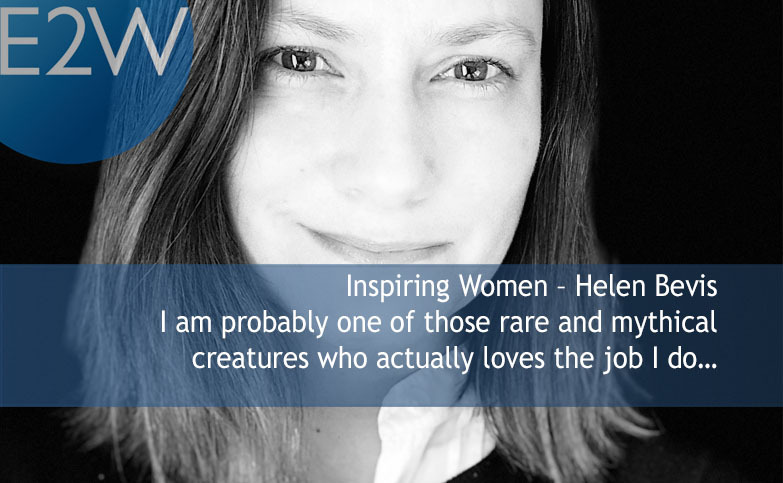 So here's the thing, I am probably one of those rare and mythical creatures who actually loves the job I do…. however I am pretty sure that, roles working in finance or technology were not listed as options during my career advice sessions when I left school for college. On leaving school I had one clear focus: I wanted to work in retail management and I had planned to study this at university. However, during the summer of 1990 all my plans changed. I fell in love. Over the space of a few weeks I changed all my plans to accommodate my new relationship. My journey took me to Anglia Ruskin University instead of Bournemouth, and I joined a degree course reading Business Information Systems, completely moving away from my plans of Retail Management. This key decision (based on a boy I met over the summer holidays) shaped my entire future, and led me to meet some of my greatest friends and my future husband. Some might say that I took a big risk, deviating away from my original course and following my heart but I think it all depends on how we view life. It’s important to assess potential risks and calculate next steps carefully but a little optimism and a ‘glass half full’ outlook can really help. In November 2011, I was working for MF Global when they went into administration. Without notice I was made jobless overnight and I was pregnant. I was fortunate and managed to gain a three month extension, leaving just ten days before the birth of my baby. I was then experiencing first hand being a new mother at home and unemployed. I was concerned as I had seen with my own eyes how women in my industry were treated on their return to work after maternity leave: they were often demoted and passed over for promotion. I was eager to continue with my career at the same level as before. But I haven’t always had great work life balance. When I worked for the big banks in the 1990s, I was regularly working 15-17 hour days – I’d arrive at the office before the traders and leave in the late evening. I was the only technical female on the trading floor and yes, I was constantly trying to prove myself but I relished the challenge and the opportunity. I felt privileged to be in that position and to be in a typically male dominated environment. Thankfully I was never made to feel uncomfortable; there was always a great deal of banter but I wasn’t offended and none of it was malicious. They were very long days, but you know what? I loved it. I enjoyed my job – the role and the people and hours just disappeared! I didn’t really notice how hard I was working and I didn’t feel any impact on my life. Looking back, I wouldn’t change a thing. Be intrigued and ask questions. People like it when people are interested in them. If you want to find out more, ask them to go for a coffee. Use networking events to learn – often networking groups host events on particular subjects. Use these as part of your ongoing CPD. I recently hosted one on behavioural analytics because I wanted to extend and share my knowledge on the subject. My career to date has been fantastic, I have travelled extensively and met some fantastic people, and I am forever grateful to that first big risk I took! I’ve learnt and adapted along the way, taken risks, used my network and found mentors and supporters to help me with my career decisions. You have to enjoy what you do and if you’re in any doubt then I’d recommend stopping and having a think.